So while most people were carving pumpkins and putting on scary masks – at least we hope they were masks! – Andrew was busy cutting trees for our first true Christmas clients. 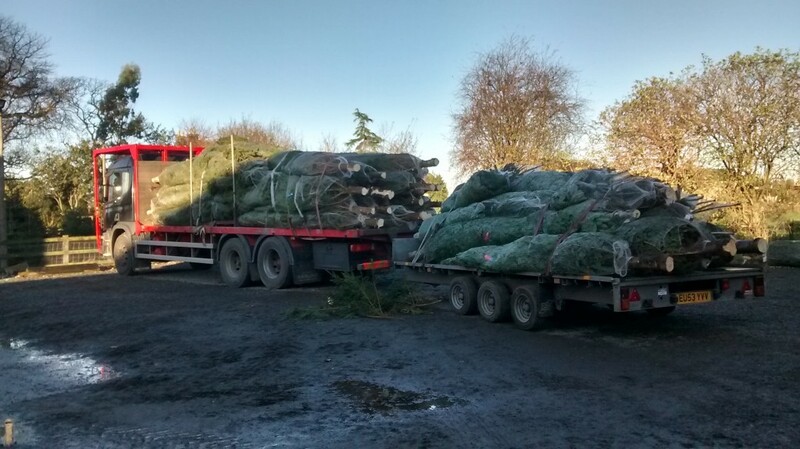 Two local councils received their trees on Thursday and Friday of last week and today a huge load was safely delivered to Chatsworth House for their annual festivities. This year their theme is Alice in Wonderland and it does sound amazing. Large trees, from 12 to 20ft are selling thick and fast and we are practically sold out. The work really goes up a gear now as a none stop campaign begins to ensure businesses, schools, sports clubs, hotels and members of the public will all have their special tree. Oh Dear! A Deer with no Name…….